Home / Blog / Medical Malpractice: Do I Have A Case? Do I have a medical malpractice case? That question is asked of many lawyers daily in this province. Unfortunately, the answer is often no! Mainly, because a poor result of a procedure or treatment doesn’t necessarily mean someone screwed up. Sometimes surgical procedures have known risks which were explained by the doctor before the surgery, or pointed out by the doctor as something important to read before you give the doctor permission to operate. Sometimes where the doctor may have performed outside the accepted standard of care, but the result complained of had nothing to do with the doctor’s breach of the standard of care. Sometimes the answer is still no when, even after there was a breach of the standard of care, there was no real damage caused or the damages caused by the breach aren’t sufficiently serious enough to make any malpractice suit financially worthwhile. Sometimes you may not have a typical medical malpractice case, but instead a product liability case against a malfunctioning medical product, like a stapler or a mesh product, or a defective hip replacement product. So When Do I Have A Medical Malpractice Case? No two cases are the same, and it’s not always easy to know if you have a case. This is why you should always speak to a local medical malpractice lawyer to get a legal opinion about your unique case. This occurs when you don’t consent to the particular procedure done by the physician. This is really the first step in any malpractice case. Has the doctor performed in a manner obviously outside of the standard of care? Causation is where the battle ground is in today’s malpractice world. This means the victim needs to prove on the balance of probabilities that the doctor’s negligence “caused” the injuries complained of. The second part of causation includes proving that the injuries complained of are serious enough to warrant litigation. Many breaches of the standard of care don’t amount to damages worth pursuing given the relative high cost of malpractice litigation. Most claims of medical malpractice involve finding a lawyer who will look at your case since this type of litigation is not for the faint of heart. The doctors in Canada are well represented and protected by the CMPA (Canadian Medical Protective Association). This is a well-funded association that will fight hard against even straightforward cases. Once you find a lawyer who is willing to look at your case, you can expect to provide an initial retainer for him or her to investigate and provide you with an opinion on whether or not you have a viable case. That lawyer will then need to order all the available medical records for your case. He or she will then do what research is available to get a bare bones understanding of the area of medicine your case involves. He or she will then consult or hire on your behalf one or more medical experts to review your case to determine if they think you’ve been a victim of medical negligence. He or she will then need at least one doctor to say in writing that the medical care you received fell below” the standard of care’ expected of the particular physician or hospital who treated you. That medical opinion, criticizing the health care person who treated you, ALSO needs to include an opinion that the negligence CAUSED harm and injury to you. That those consequences are likely to result in an award of damages to make your case financially worthwhile. Choosing a malpractice lawyer isn’t easy and requires you to make enquiries from people who are likely to have some knowledge about the subject. Our advice is that you look for a lawyer who is local, has significant experience and expertise when it comes to medical malpractice work, and is a member of the Ontario Trial Lawyers Association. 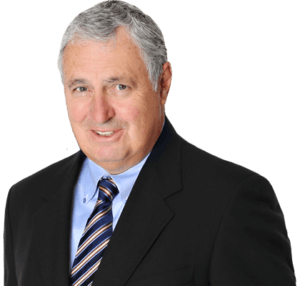 Our local lawyers, Bruce Hillyer and Claire Wilkinson are both past presidents of the Ontario Trial Lawyers Association and are well-versed in medical malpractice cases. If you need advice about a medical malpractice claim, give us a call or fill out the form below for your free consultation.